Below is the sketch I loosely followed. The challenge is to keep the card "clean and simple". Even though there is some punch art to this card, it's just an oval and some circles. Yes, even the beak and ear tufts are circles. Super simple. I originally created this little owl for a treat box I hope to share tomorrow, with a simple photo tutorial...if I can manage it. You're welcome to check back, or you can subscribe to my blog by email and get a notice sent right to your Inbox when it posts. The treat box will use essentially the same supplies (Gold Foil hearts and embossing folder are optional), so go ahead and click on anything you don't have below, to order it now. Each treat box is made from one half-sheet of Sahara Sand card stock, so you can make 48 boxes from one package of that single color card stock. Stampin' Supplies: You Plus Me stamp set (available in wood-mount and clear-mount), Confetti Heart Border Punch, Happy Heart Embossing Folder, Ovals Collection Framelits, 1-1/4" Circle Punch, 1" Circle Punch, 3/4" Circle Punch, Sahara Sand card stock, Baked Brown Sugar card stock, Whisper White card stock, Basic Black card stock, Calypso Coral card stock, Pool Party card stock, Pink Pirouette card stock, Gold Foil Sheets, Tempting Turquoise ink pad, White Gel Pen (optional: for eye highlights). I was gonna make it taller, but I was getting over being sick, so I just couldn't muster the energy. You can see how the spaces between the rows kept getting bigger--LOL! For the lights, I used battery powered tea lights. I ran some Linen Thread through some holes in the battery cover on the bottom, and tied a knot to create a loop for hanging over a pushpin. That way, I could get to the on/off switch for each tea light easily, plus they are easy to take down and reuse later. Again, laziness prompted this idea, but it's been pointed out that this would be an excellent solution where space is tight...especially in an apartment or studio. If you used a temporary adhesive that would stick to the wall and not mar, and which also removes from the back of the project easily, you could definitely save the card stock strips from one year to the next. But I think I only used maybe 4 sheets of 12"x12" card stock total, so it should be a fairly inexpensive do-over even if you can't salvage the card stock. As always, the 10th of every month (no later than 11:59pm MT) is the deadline to sign up to get that month's Paper Pumpkin Kit delivered! You can find all the FAQs and sign up for a monthly subscription HERE, but there is a special during Sale-a-Bration which offers $5 OFF a 3-Month Prepaid Paper Pumpkin Subscription AND at the same time, qualifies you to choose one FREE Sale-a-Bration item!!! You are by no means required to make the project(s) as they are represented in the kits. Stampin' Up! has started including pictures of alternate ideas in the kit, and also maintains a separate Pinterest account to gather pins of alternate ideas for each month's kit. 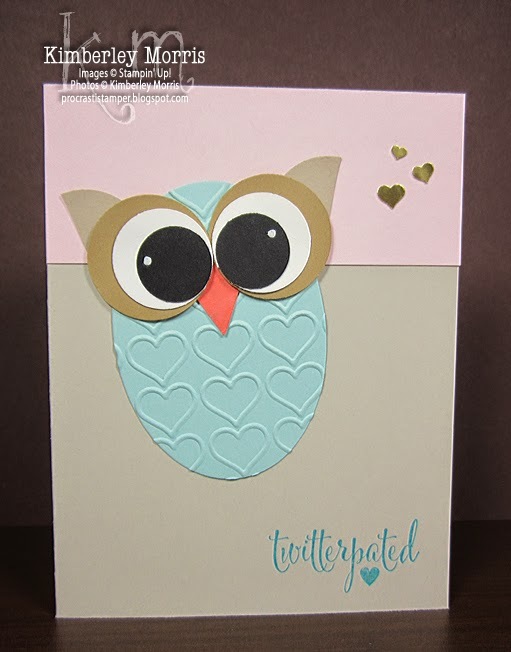 You can click HERE to see Stampin' Up! 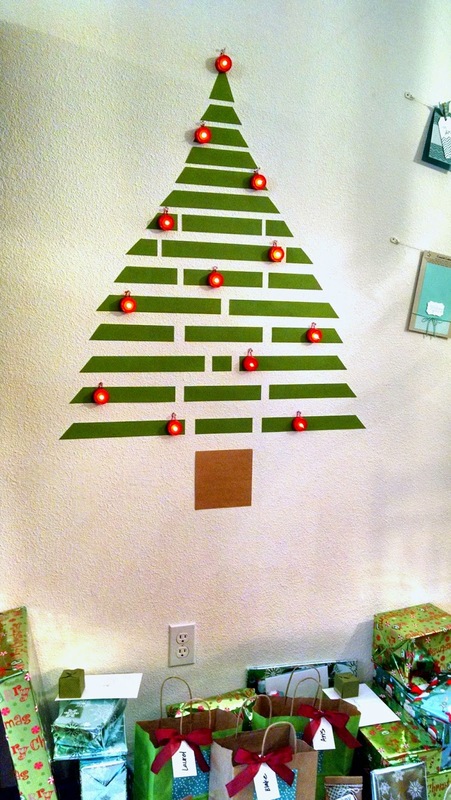 's Pinterest board for December's kit, with alternate ideas. Remember, the contents of each monthly Paper Pumpkin kit are a surprise--so if you prefer to pick out your own supplies, you'll probably get more out of browsing my ONLINE STORE. However, these kits come with almost everything you need to complete the enclosed projects, with the exception of a little liquid glue sometimes, or scissors to snip ribbon or twine. You also get a free stamp set and a free mini ink pad (or other coloring tools) each month, so it's great for accumulating stamping supplies. If you love the idea of having a creative escape delivered to your door every month, with the tedious prep work already done for you (cutting, scoring, etc), then Paper Pumpkin will fit you like Cinderella trying on her glass slipper! IMPORTANT: When you purchase a Prepaid Paper Pumpkin Subscription, it is NOT active until you enter the Promo Code you received after paying for your order, and create or update your Paper Pumpkin login HERE. If you want any given month's kit delivered to you, you *must* have all your info set up no later than 11:59pm MT on the 10th of the month. 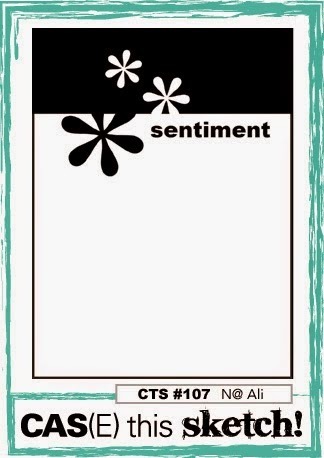 with my NEW Procrastistampin' Points!!! January 6th thru March 31st! Choose (1) FREE Sale-a-Bration item (see selection at end of post) for every $50 you spend on a retail order, whether ordered through me by phone or email, through my ONLINE STORE, or as a retail order through a party. Earn an additional FREE $25 in Host Dollars (to spend on any Stampin' Up! retail merchandise) when you host a party with at least $250 in sales during Sale-a-Bration. You can host an actual party, at my place or yours, or host a virtual party online. Or, do a combination of BOTH! FYI, your own retail order counts towards your hosting sales total! Drop me an email to ask how you can pre-order party supplies for you and your guests, to earn your Host Dollars and FREE Stuff up front. 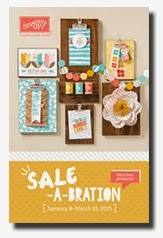 Become a Demonstrator for only $99 (plus tax, but no shipping) during Sale-a-Bration, and choose your Starter Kit of retail items up to $125 in value--PLUS, choose either a FREE Project Kit (from a selection of 5, listed below), or (2) FREE Sale-a-Bration Items! *Please note that Sale-a-Bration free items are calculated ONLY on product price, no shipping or tax. Ready to start your New Year out with a pop of COLOR, and some fresh designs??? Made a Resolution to Send Handmade Cards this Year? Check out the Crazy About You Stamp Set with coordinating Hello You Thinlits Dies--available as a BUNDLE at 15% OFF! (available in wood-mount bundle, clear-mount bundle, and photopolymer bundle) You'll have easy, peasy greetings to make cards for birthdays, anniversaries, weddings, Mother's Day, Father's Day, graduations, Easter, Spring, Thank You, new babies, and MORE!!! If you can only get one stamp set this Spring, get the Crazy About You Stamp Set (available in wood-mount, clear-mount, and photopolymer). If you have the Big Shot, you NEED the BUNDLE with the coordinating Hello You Thinlits Dies. Heck, you need the Thinlits no matter what...so, you'll just have to get yourself a Big Shot NOW. It's okay, I totally grant you permission. Longing to Share a Handpicked Gift? Check out my personal favorite--the Berry Basket Bigz L Die, perfect for any and every Spring gift occasion. See? THIS IS WHY YOU NEED THE BIG SHOT! Lol. Think Valentine's treats, simple but special mini Easter baskets, paper crafting notions and embellishments, reception table centerpieces (filled with simple handmade favors), herb clippings, or even a baked treat with an accompanying recipe! To complete the garden theme, use the basket with the From the Garden Stamp Set and coordinating Handpicked Framelits Dies which are available in a BUNDLE for 15% OFF! 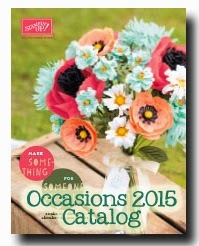 I think you'll LOVE this new catalog, I know I do! If you are a local customer (in or around Colorado Springs), please stay tuned for details on my upcoming OPEN HOUSE, where you can pick up your hard copy of the catalog for FREE. If you are a long-distance customer, please let me know if you'd like a hard copy of the catalog, and I'm happy to mail you one!